An expanded Center City Philadelphia has grown so much that it now ranks second only to Midtown Manhattan when it comes to people who live in the heart of the city. That’s according to the Center City District, which released its annual report Monday – and which is defining the area as extending from Girard Avenue to Tasker Street. Over the past 15 years, population grew 16 percent in the district that is also bounded by the Schuylkill and Delaware Rivers, bringing the population to 183,240, according to latest State of Center City report. Brisk redevelopment also continued last year in that area, the CCD reported, with 1,983 new residential units completed by developers in that area. The U.S. Census Bureau released new data today, showing the “subcounty” population figures for the year that ended July 1, 2013. That means every municipality in the country, no matter how small, can see how many residents it gained or lost in that period. Census figures for counties and metro areas were released earlier this spring, with Philadelphia’s population standing at 1,553,165 residents, a 0.29-percent increase from the previous year. The new numbers show which municipalities in the area gained or lost residents at the fastest rates between July 2012 and July 2013, and since the 2010 Census. 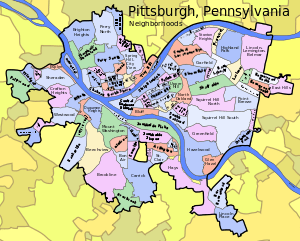 Bill Peduto can stop pretending. The Point Breeze Democrat cruised to victory in the Pittsburgh mayoral race, officially earning the “mayor-elect” title he sought twice before and then avoided during the five months since his convincing Democratic primary win. Peduto won 84 percent of the vote on Tuesday with 96.8 percent of precincts reporting, walloping two challengers who barely put up a fight. His 35,000 votes topped the 28,600 Mayor Luke Ravenstahl won in the last mayor’s race, in 2009.